Dr. Daniel Sokol is Honorary Senior Lecturer in Medical Ethics at Imperial College London, and a barrister. He is co-author of Medical Ethics and Law: Surviving on the Wards and Passing Exams and a columnist for the British Medical Journal. 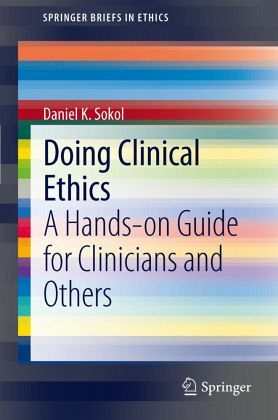 Foreword.- Introduction.- Chapter 1: Clinical ethics at the coal face.- Chapter 2: Clinical ethics on paper.- Chapter 3: Teaching clinical ethics to medical students and clinicians.- Chapter 4: Submitting an application to a Research Ethics Committee.- Conclusion.-.